A motorist involved in a head-on collision after driving on the wrong side of the road tried to escape capture by climbing a TREE. The driver of a white van immediately fled the scene on foot after hitting another car. But he was found by officers up a tree after jumping fences and leading police on a chase. No one was injured in the collision in Leighton Buzzard, Beds, and the man was reported for failure to stop and no insurance. 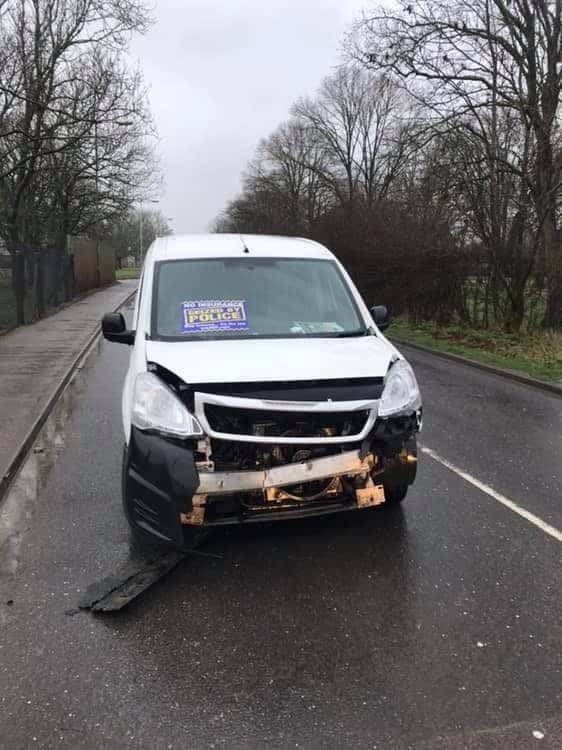 Leighton Buzzard’s Community Policing Team also posted online about the incident, saying: “The driver of this van did not want to hang around after crashing head on with another member of the public (yes the van is completely on the wrong side of the road).